A UV LED printing machine is a piece of cutting-edge technology which is more efficient than conventional printers. This is because a UV LED printer has fewer moving parts which allows for less mechanical wear and provides businesses like yours with many benefits, such as fast turnaround times and perfect quality. 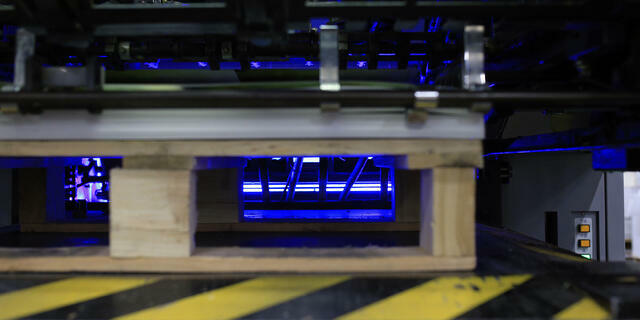 The machine hosts a form of digital printing which uses ultraviolet lights to dry or cure ink as it's printed. What sets this machine apart from other printers is the unique drying process - called UV curing. If your business chooses an LED UV printer to produce your luxury brochures, the UV curing process is what helps increase the quality as the drying method plays a major role in perfecting your luxury brochures. UV curing works by ditching heat and uses light to dry instead. It's all based on the photochemical reactions, where liquid monomers and oligomers are mixed with photoinitiators. How do you make a warm hot chocolate? You use the milk, which can be the liquid monomers and oligomers, and you mix in the hot chocolate powder - which is the photoinitiator. You place that in the microwave to warm it up so you have a nice, warm drink. In printing, that microwave acts as the UV energy, where the materials are exposed to heat generated from the light to dry the ink, just like a microwave warms up your hot chocolate. In only a matter of seconds, the inks, coatings or adhesives used instantly harden. This is a better alternative to the traditional solvent-based products as the conventional heat and air-drying method worked by solvent evaporation. This made the coatings shrink by more than 50% and produced environmental pollutants. 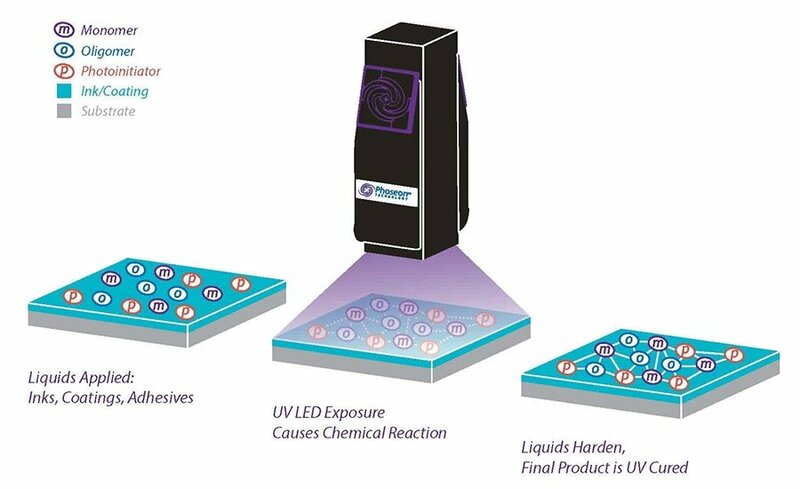 There's no solvent to evaporate in UV curing. This means there's no loss of coating thickness of your products, no loss of volume and no environmental pollutants. UV curing dramatically improves physical properties, allowing your products to be shown off with improved gloss finishes, better scratch, chemical and hardness resistance and improves the strength of your brochures too. There's no shying away from the fact that a UV LED printer and UV curing is quite a complicated process, so it's important to deal with experts with this particular technology. 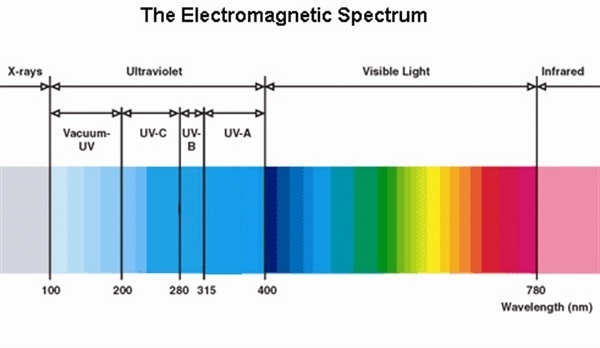 To go into slightly more depth, the UV light that's used comes from a particular section of the light spectrum, which you can see below. The light is usually considered to be in the wavelength range from 200nm (nanometers) to 400nm. In this light range, the light has many important uses ranging from semiconductor lithography, water purification and also adhesive curing. The latter is how it links with LED UV printing, as the light instantly hardens the inks, coatings and adhesives. The inks, adhesives or coatings are placed on an underlying layer. At the UV light range, LED lights are exposed to the chemicals which causes a reaction. Once that's done, the liquids that have been used instantly harden and the finished product is UV cured. What Can A UV LED Printing Machine Print On? A unique feature about a UV LED printing machine is that it's incredibly versatile. This means it can print on materials and stock that other printers aren't capable of printing on. You have your more traditional materials and stock which helps business like yours. This includes luxury papers such as Lux, Constellation Snow, silk and uncoated paper which all feature distinct qualities. By using the UV curing method, it helps your business utilise luxury stock to its full potential as it instantly grabs attention. The versatility doesn't end there. Depending on the type of UV LED printing machine used, it's also able to print on nontraditional materials like acrylic or aluminium. Fast turnaround times - LED UV technology is now so efficient due to its drying process that it can reduce the turnaround times of a majority of high-quality printing jobs by around 40% without compromising quality. Sharper colours - As ink doesn't sink into materials using a UV LED printing machine, colours are much sharper. They also appear much brighter and more vivid to provide the best visual presentation. No ink set off - Ink set off - which is when ink transfers from one sheet to another - is eliminated. The original characteristics remain as there's no requirement to apply any sealing coat. Printing in this machine means no anti-set off powder spray is required which creates dust, so finished products won't feature blemishes or markings so it always delivers perfection. 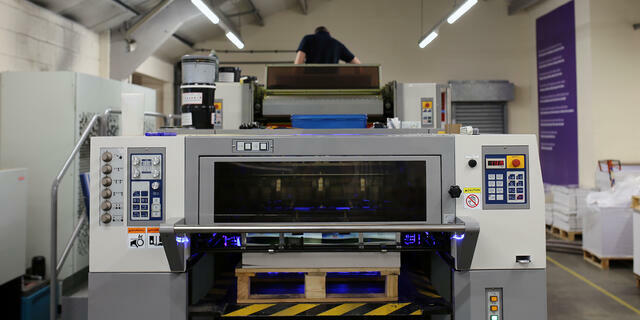 Environmentally friendly - A UV LED printing machine uses less power than traditional print technology. The instant on/off functionality reduces standby consumption which reduces CO2 emissions. Versatility - Unlike other print technologies, LED UV printing isn't limited to certain applications. It's ideal for a wide range of projects from newsletter to magazines, stationery to catalogues. Plus, it's not limited to the type of stock or materials it can print on either. With so many benefits of a UV LED printing machine, it won't come as a surprise to see more high-end businesses seeking perfect quality to show off their products and stand out from the competition. While it's a complicated process, the end result is definitely worth it with this technique. 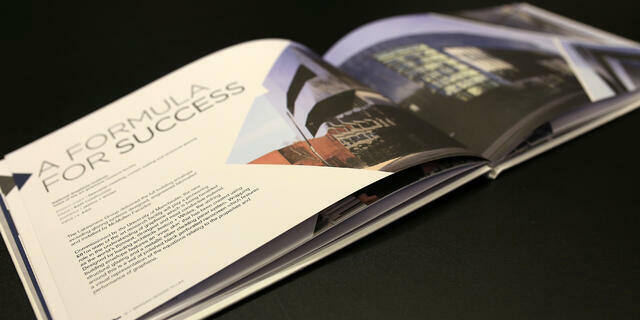 Plenty of factors go into creating a luxury brochure, and the right print technique is just one of the major aspects. In the blog post, we have outlined what a UV LED printing machine is and how you can benefit from using one, but for even more tips and advice, download our free guide on how to produce a luxury brochure. There is plenty of scope for using printed comms in this digital-first world. But only when you pull it off with a stunning piece of high quality printing. Use our guide to learn how to put a luxury brochure together and stay in potential-customers' hands longer.